W.I.N. stands for What I Need. In my school, it is a block of time when RTI teachers and service providers can pull students and when I can implement Tier 1 interventions and plan small group activities. 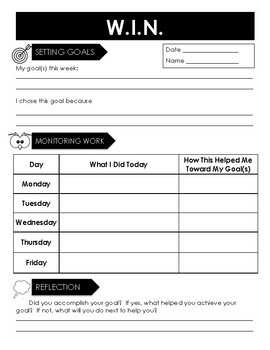 I love this product because students are able to track what they need, what they did to work toward their goals, and assess their accomplishments. You can even use these trackers during parent-teacher conferences as evidence!